“Illinoisans answer this question each day by helping their neighbors and their community. Volunteerism is the answer,” said Serve Illinois Executive Director Scott McFarland. Serve Illinois calls on you to make Martin Luther King, Jr. Day a “day on instead of a day off.” Martin Luther King Jr. Day was designated a National Day of Service by Congress in 1994. Illinoisans have a rich history of service, including being the number one volunteering state out of the largest states in the country. Anyone interested in volunteering on Martin Luther King Jr. Day of Service can visit Serve.Illinois.gov to find more than 2,000 volunteer opportunities throughout Illinois. 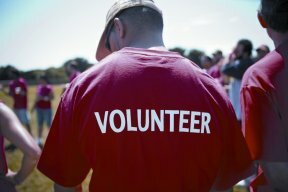 Volunteers can search based on location or area of interest, as well as by web-based, ongoing, or one-time volunteer opportunities.